Easy tuning of the viola. Is there a better alternative to FreeViolaTuner? Is FreeViolaTuner really the best app in Teaching Tools category? Will FreeViolaTuner work good on macOS 10.13.4? 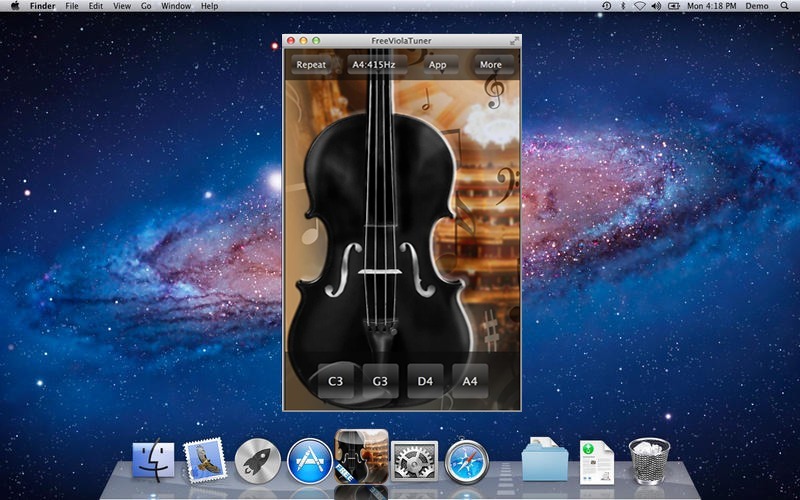 FreeViolaTuner makes it easy to tune the viola. Just click on the button and tune the viola with the sound of the tuned string! Version 1.1: Release notes were unavailable when this listing was updated. FreeViolaTuner needs a review. Be the first to review this app and get the discussion started! FreeViolaTuner needs a rating. Be the first to rate this app and get the discussion started!